Cantolina’s last two fights were consecutive title fights and victories; the first being a featherweight bout over Zach Shultz and the last being the aforementioned fight against Goss. The remark that “everyone keeps saying they want me to fight this Lenny kid” stems from the bout with Shultz in March of this year. The original featherweight championship bout at Complete Devastation MMA 8 was slated to be Cody “Lenny” Karlheim and Zach Shultz. Prior to that bout, Karlheim suffered one of the worst knee injuries that an athlete can suffer and the CDMMA promoters were scrambling for a replacement for Karlheim. At that point, Pittsburgh area native, Cantolina was tapped and the title fight went on. In victory of that fight, Cantolina was very respectful of the shot he was given and was gracious in victory. Fans and supporters of Lenny Karlheim still feel that Karlheim is owed a title shot for the promotion that he won each of his victories in. As of this writing, neither Karlheim nor his Dignan-Brumbaugh MMA training camp have replied or retorted. Those close to the situation are saying that Karlheim’s recovery and training has been excellent; that he’s strength training like never before and working on his striking skills with some of the area’s best. When we spoke to Lenny at CDMMA 9, he said that he’s looking to round up a fight for the near future and the opportunity may have come to him. The question now becomes a matter of venue. Cantolina demanded that Karlheim come to him, to Pittsburgh, in the challenge. With that being said, that leaves two promotions in the immediate running: Gladiators of the Cage (GOTC) and Pinnacle FC. Both promotions have something to be gained by promoting Cantolina vs. Karlheim. GOTC just lost their Featherweight and Lightweight Amateur Champion, Travis List, to retirement and must be eager to get contenders back in their roster. 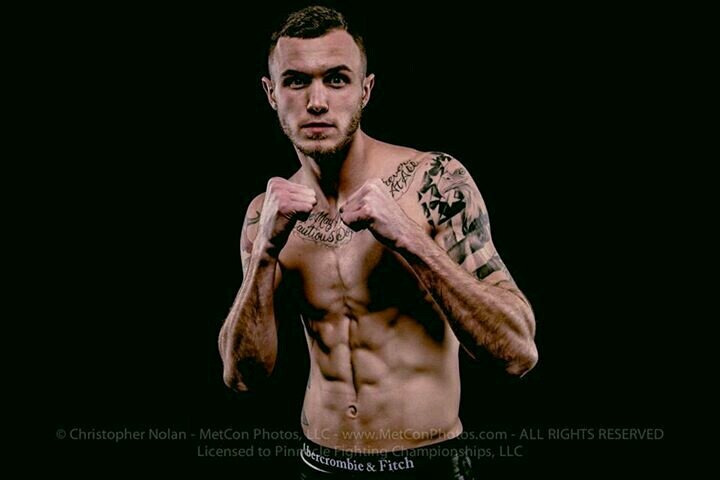 Pinnacle FC has interest, as Cantolina is their reigning featherweight champ and surely wants to keep him in their camp. We’ll be following this story closely as it develops. We’re eager to hear from the Karlheim / Dignan-Brumbaugh MMA camp and their take on the challenge issued today.